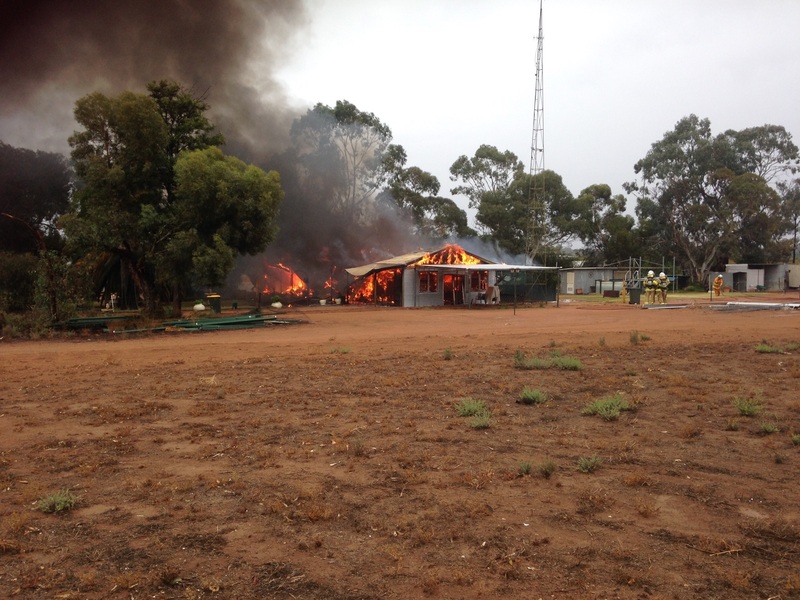 Captain Chris Coombe has been a CFS volunteers for around 35 years, leading the Cadell Brigade for the past ten years. He is also a respected Custodian Officer of some 22 years. The Cadell CFS brigade has about 35 active members with many utilising CFS training to support their rehabilitation while they complete their sentence at the Cadell Training Centre. Over the past 12 months the brigade has been a first response vehicle to some 35 – 40 community emergencies. The Cadell Brigade has been called upon to fight the Sampson Flat and Pinery Fires. Chris remembers the brigade heading towards the Pinery fire with a “bar heater” of flames confronting them on the left hand side of their vehicle as they travelled to their collection point. On 25 May Captain Chris Coombe received a different call, advising him of an address he knew very well - his home was ablaze. 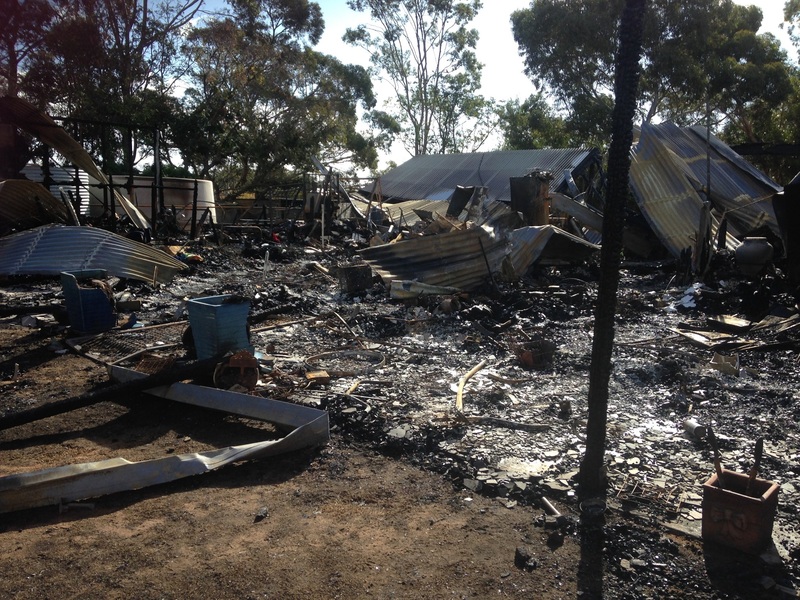 It was also the home for two other CFS volunteers, his partner Natarsha and son Brad. On this occasion, seven appliances were unable to stop this blaze, with their home burnt to the ground as a result of an electrical fault in the ceiling. Natarsha remembers that most of the brigade members were in tears, unable to save their Captain’s home. Natarsha, Brad and Chris all agree that their feelings towards homeowners who have lost their homes are now very different. Through their experience, they have real empathy for others sustaining such devastating losses. The Coombes’ property was also the home for two goats, two rabbits, their dog Maisie plus Kira and her pups. Thankfully, they all survived. Natasha explained: “It is the sentimental value that is the biggest loss, losing family heirlooms and treasures, plus I was establishing my hairdresser salon that was almost completed.” Today there is just a little light on the horizon with the plans for their new home on the kitchen table. “The foundation slab is still in good condition, so we have the footprint in place,” said Natasha. 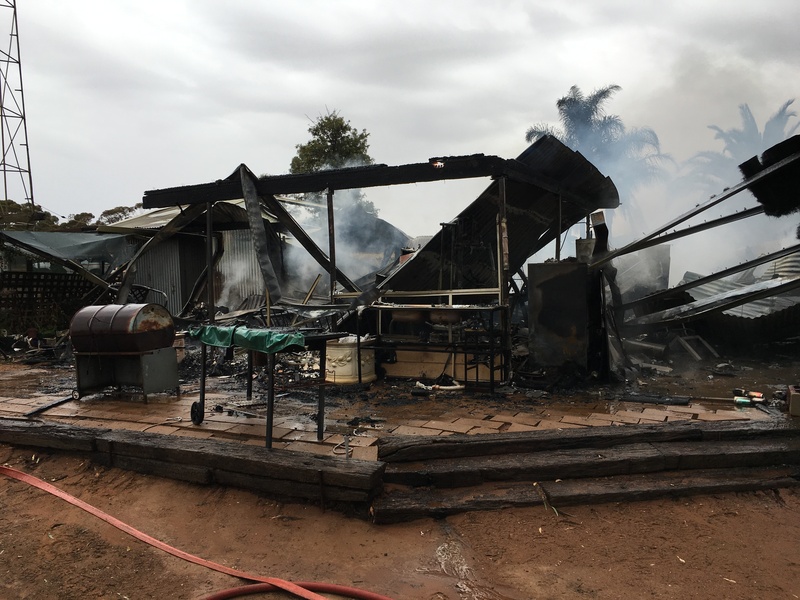 Chris, Brad and Natasha are all very grateful for the support of the brigade members that tried so hard to save their home and the entire Cadell community. The CFS Foundation financially assisted the Coombe family in their time of need. They are extremely grateful for the support from the CFS Foundation.